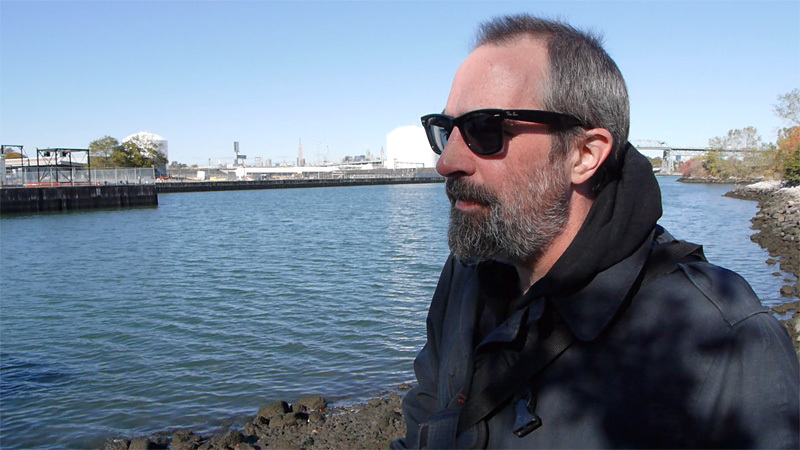 Mitch started the Newtown Pentacle website in 2009 to document his adventures along the Newtown Creek (and in the greater harbor and city beyond). He has served the City of New York as a Parade Marshall three times, has been named the Newtown Creek Alliance’s group historian, is a Steering Committee member of the Working Harbor Committee, and offers regular walking, bus and boat tours of the Newtown Creek Watershed. He resides in Astoria, Queens, with his wife Catherine and their little dog. Hey Mitch. In China but will be back in NYC in July. Have been Working on history tugboat McAllisters for years for them. They began on Newtown Creek. Would love to meet and swap notes. The hydroqual studies are an amazing resource, which I refer to all the time (and often offer links to). The “flushing tunnel”, believe it or not, was originally proposed by DeWitt Clinton. We refer to it as the 100 year plan, as every hundred years or so, it’s proposed and then shot down due to cost. Clinton wanted to create a “grand canal” in Queens, linking together the flushing river and Newtown Creek which would provide tidal action to both and also create a shipping channel from LI Sound to East River, bypassing the dangerous passage of Hells Gate. 425 Greenpoint Ave. was the home of the Manhattan Adhesives Corp. My father, Pasquale Leone, was a chemist there until it closed sometime in the late 1960’s early 1970’s. You could see the Manhattan Adhesives sign on the tower portion of the building from the Kosciuszko Bridge. They made adhesives for books, magazines, labels, etc. One of their customers at the time was Reader’s Digest. The glue was animal based and it smelled pretty bad. I visited him there when I was a kid and he let me play with the beakers, test tubes, bunsen burners in his lab. I am a model railroader and found it by accident, as I was looking for photographs and information on the former “Jack Frost” sugar refinery (National Sugar, formerly New York Sugar Refinery) that was located on Newtown Creek. I am trying to model the complex (saw your photographs of the property) and surrounding area including the float bridge (saw the photographs of the remains of it), the trackage down Pigeon St, and the wharf . I did find some drawings of the site (Sanborn Fire Insurance maps and a page from an old 1919 NYC atlas, but no photographs of the complex. Any help in locating some photographs would be greatly appreciated. I’d love to see what you’ve got, and thanks. If you email me with your email, will forward you some pics.